California Community Center Mural: Even More Progress! 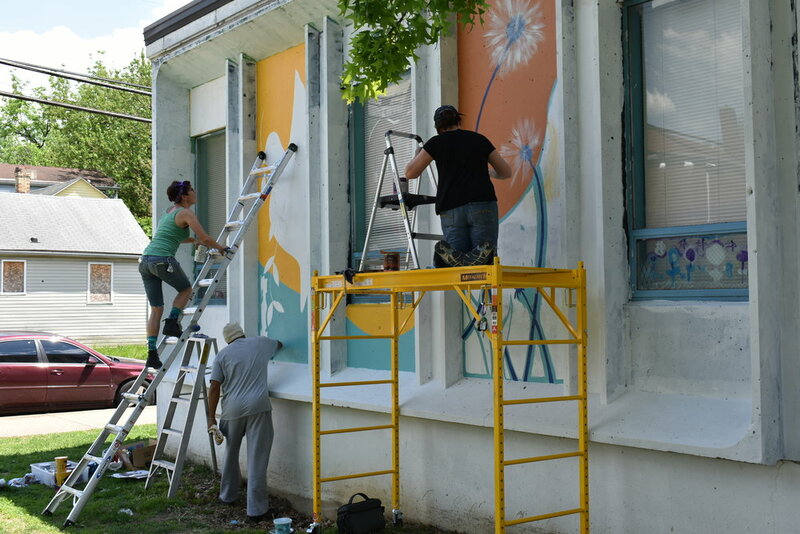 The warm spring weather has reinvigorated our mural painting at the California Community Center! Friends and family joined us on Saturday to help paint accents and trim and we're making steady progress! 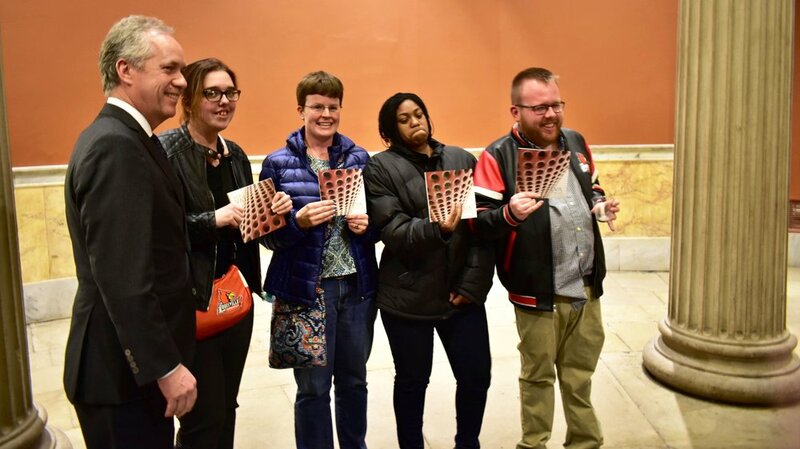 Thanks to our friends at Louisville Metro Parks and Recreation, Fund for the Arts, and all the folks from the neighborhood who have stopped by with encouraging words! 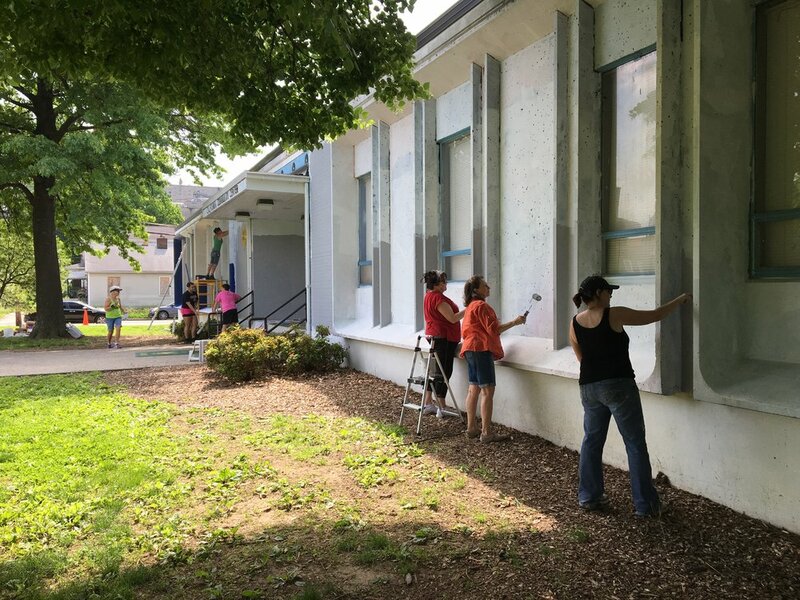 Some of LVA's finest employees and friends - Outreach Programs Manager Ehren Reed, teacher Janet Britt and artist Victor Sweatt - have been working hard all spring on giving the nearby California Community Center a fresh coat of love (in mural form!). Special thanks to our partners at Louisville Metro Parks and Recreation, and to the Fund for the Arts and the Center for Neighborhoods for their generous support on this project. 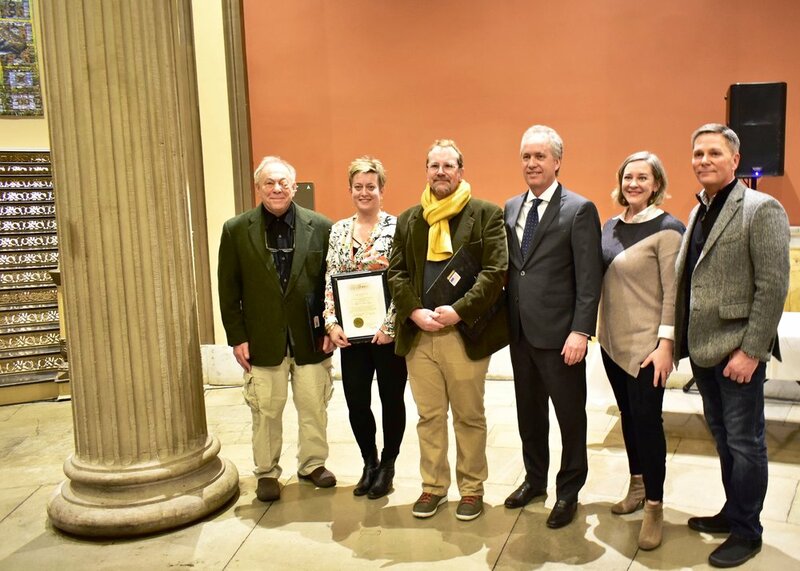 LVA joined Mayor Greg Fischer, Councilwoman Barbara Sexton Smith, Metro Public Art Administrator Sarah Lindgren, Metro Parks and a large crowd of friends and supporters at Metro Hall on Monday, January 29. 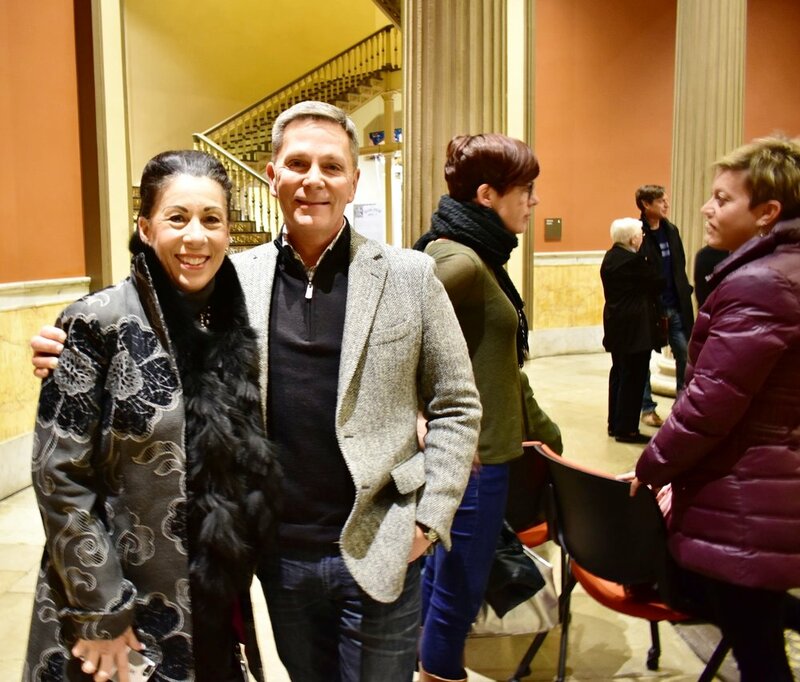 LVA coordinates exhibitions of local artists at Metro Hall, so on this night all gathered to pay tribute to artists CJ Pressma, Jenny Zeller, and Mitch Eckert. Also saluted were the participants of our summer program Picture Love, a partnership between LVA and Metro Parks that returns this summer!